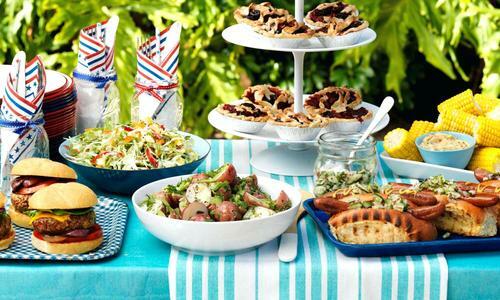 Make special memories with family and friends this 4th of July by throwing an awesome party. It’s the perfect occasion to celebrate this summer. Invite some friends over and stock up on red, white, and blue decorations. Bust out the grill, get your sparklers ready, and maybe even mix up some margaritas. It’s going to be a party to remember for years to come. The Ambiance Outdoor Fire Features is a fantastic device that sets a great tone for your party. Simply set it on your patio and enjoy the ambiance. Its beautiful, intense flame and modern design will wow each one of your guests. During any ebbs in the conversation, your guests will naturally look over to the Ambiance Outdoor Fire Feature and be mesmerized by its beautiful flames. Featuring highly advanced safety features and durable components, you’ll be able to take your parties to the next level for many years to come when you invest in the Ambiance Outdoor Fire Feature today. It’s the ideal addition to your 4th of July party this summer. No party would be complete without delicious food! 4th of July is the ideal holiday for grilling. Everyone will start feeling extra patriotic when you fire up your natural gas or propane grill from AEI Corporation. Get ready to have an incredible 4th of July party by stocking up on prime steaks, hamburgers, veggie burgers, sausages, and hot dogs. Please your crowd with some veggie skewers, Portobello mushrooms, and corn on the grill, too. Whether you have a natural gas or propane grill from AEI Corporation, you can rest assured that it’ll get that party started right with plenty of delicious eats. Our grills are fantastic for backyard BBQing with treasured family and friends this 4th of July. Don’t stop the fun when it starts getting chilly! Our Patio Heaters let you keep the party going late into the night - no one will want to leave. Invest in high-quality patio heaters from AEI Corporation. We have Patio Comfort Propane Heaters and Patio Comfort NG Heaters to choose from according to your needs and preferences. Thousands of people across the country rely on our Patio Heaters throughout North America, and you’re going to love yours. Our Patio Heaters are super easy to use, safe, and attractive. Enjoy so much more time with your guests when you don’t have to worry about getting cold outside, thanks to your patio heater from AEI Corporation. No 4th of July celebration would be complete without fireworks and sparklers. Whether you drive over to the town display or shoot off some of your own, you’ll be feeling super patriotic whenever you see some amazing fireworks this 4th of July. Sparklers are a festive way to celebrate the 4th of July that won’t break the bank. Even little kids can enjoy the magic of sparklers without fear of hurting their ears. Don’t forget to pick some up before your 4th of July party! Gather your favorite friends and family members, set up your patio heaters, fire up that grill with some delicious meat and veggies, put your Ambiance Fire Features device, and pick up some fireworks or sparklers. If you’re feeling extra fancy, string up some twinkle lights and set up a little dance floor for people to sway into the wee hours of the night. People will be talking about your epic party for years to come. Wishing you an amazing 4th of July from all of us at AEI Corporation. God bless America!